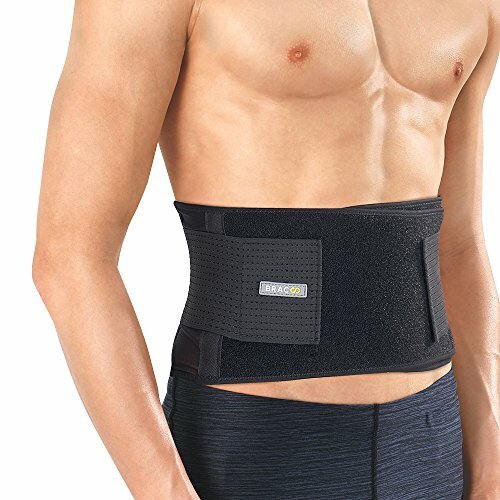 The Bracoo Fulcrum Back Brace represents the cutting edge in well-engineered ultra-light back braces with each element carefully designed to provide smart support without the bulky, sweaty, restricting experience common to generic competitors. Featuring 4 stabilizers: 2 metal splints to brace the lumbar, and 2 flexible support rods along the sides to give the wearer the support where it's needed without inhibiting the natural range of motion. As one of the best pound-for-pound back supports on the market at just 7.3 oz., this brace is in a class of its own when it comes to breathability, and suitability for wear beneath regular clothing.